Flushing CSA sign-up is now closed for the Summer/Fall 2018 Season. Our local farmers at Golden Earthworm Organic Farm tell us the 2018 season is sold-out and there is a long wait list. Please come by our pick-ups at Flushing Town Hall on Thursdays 5-8pm if you’re curious about our organic vegetable and fruit shares or want to chat with our members. 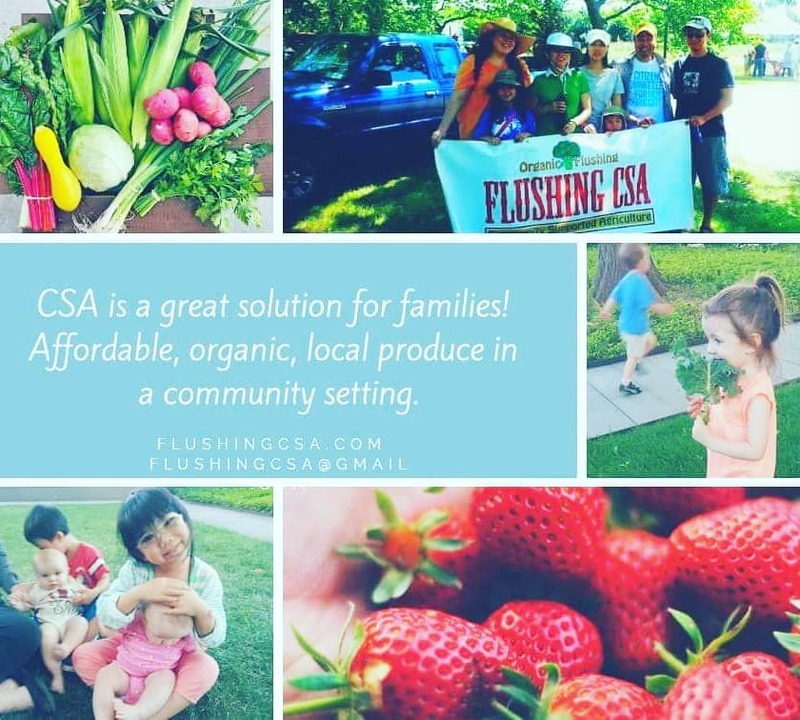 Flushing CSA also has a winter share program — stay tuned for updates and let us know if you’re interested! Next Flushing CSA (Week 1) Update!